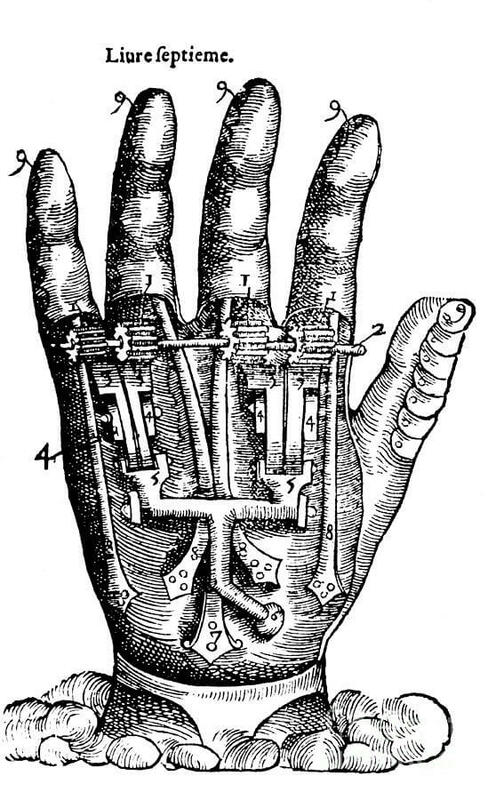 ”Hand Prosthetics or Le Petit Lorrain mechanical hand” in: Dix livres de la chirurgie - Dr. Ambroise Paré, 1564. 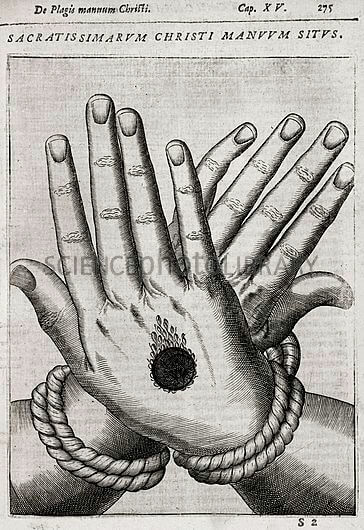 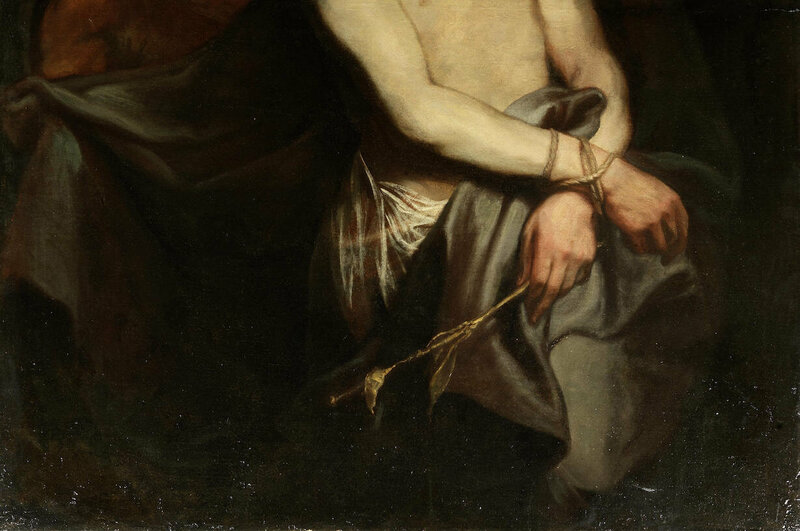 “Christ's stigmata” in: Historia Admiranda de Iesu Christi Stigmatibus- archbishop Alfonso Paleotti, 1607. 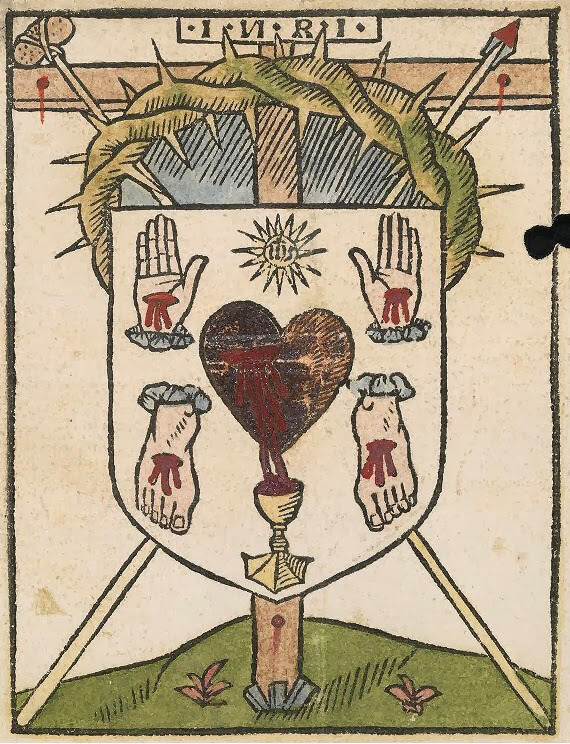 “The Sacred Heart and the wounds of Christ displayed on a Cross (‘Arms of Jesus Christ’)” - Unknown, c.1490-1530. 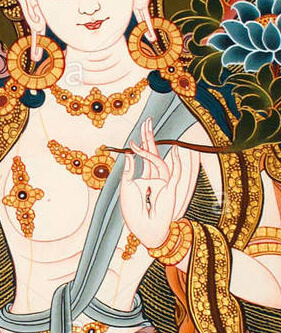 White Tara” detail - Tibetan Buddhist thangka painting.